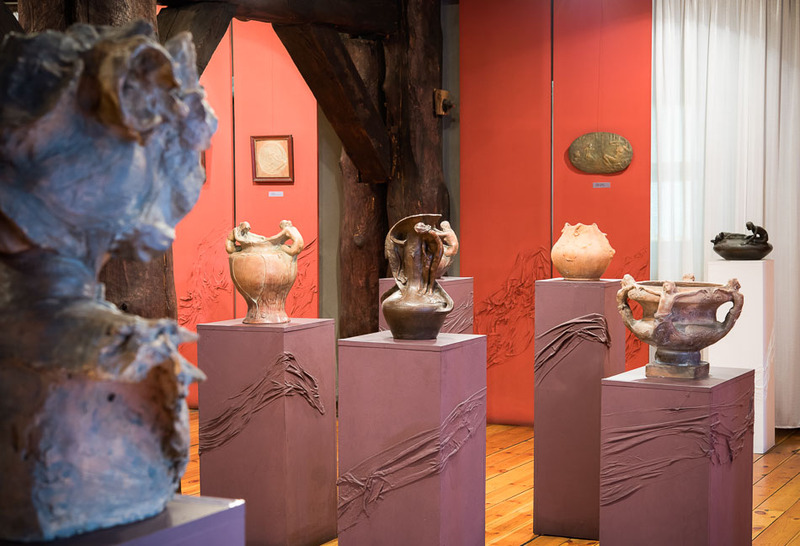 The Art Collection, which houses the Art Department of The Museum of the Kujawy and Dobrzyn Region in Wloclawek, occupies one of the most interesting historic buildings in town – a splendid brick granary built in 1839 on Zamcza Street, which runs parallel to the Vistula Boulevard. Zamcza Street used to be the main road leading from the castle to the market square. Today it forms part of the tourist route from the cathedral and the Episcopal palace to the Old Market. 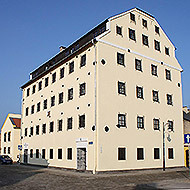 The Art Collection was opened for visitors on 14 March 1989. 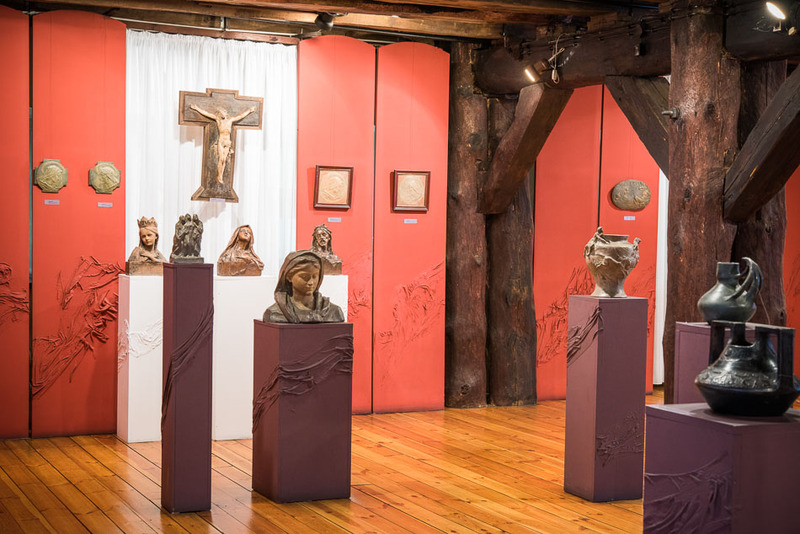 The exhibition of sculptures by Stanislaw Zagajewski – one of Poland`s and the world`s premier representatives of l`art brut – features works from his most interesting and creative period, 1966-1990. 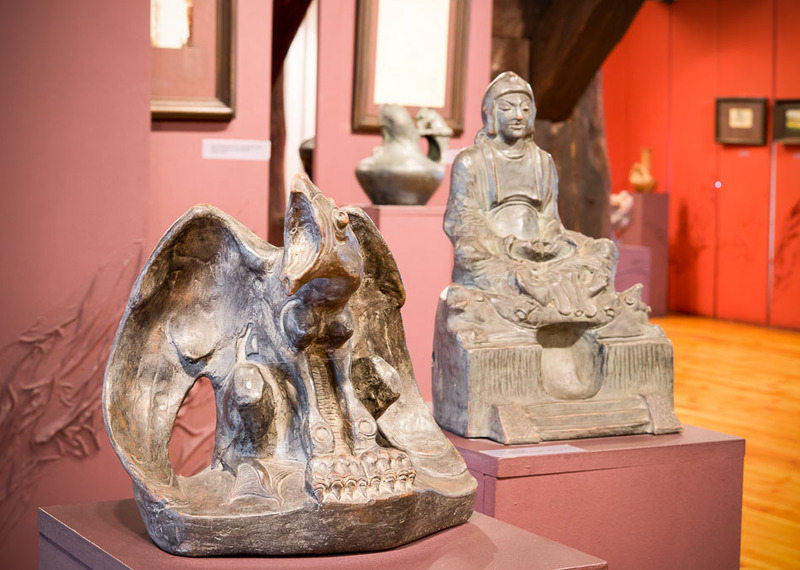 The religious and animal sculptures come solely from the Wloclawek Museum`s collection, which was started in 1966. 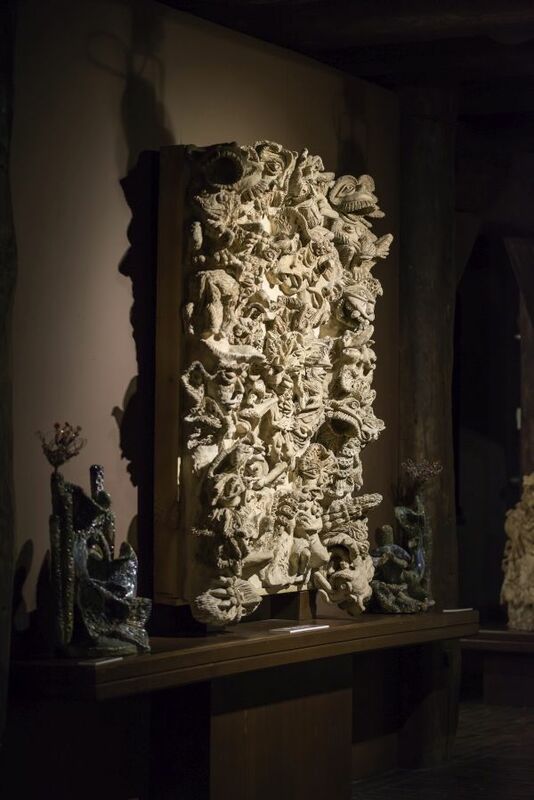 The exhibition includes the unique bas-relief compositions Zagajewski calls “altarpieces,” as well as free-standing sculptures and wall masks. The altarpieces and most religious sculptures were inspired by the Passion of Christ (Christ in a Crown of Thorns, The Man of Sorrows, the Pieta, Arma Christi). The Lamb of God altarpiece and the sculptures of The Lamb and The Pelican also refer to the sacrifice of Christ and the mystery of the Eucharist. 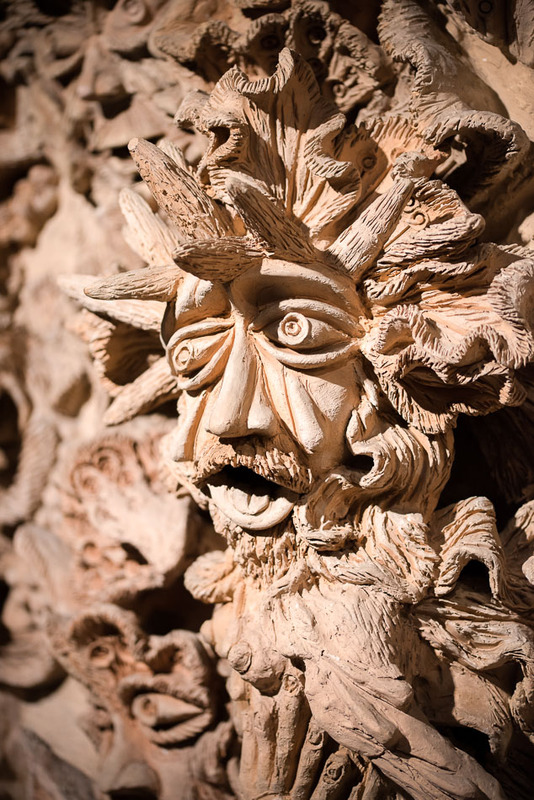 The free-standing sculptures are mainly uncanny representations of homely and exotic animals: the stag, the roe, the bear, the elephant, or the sphinx. 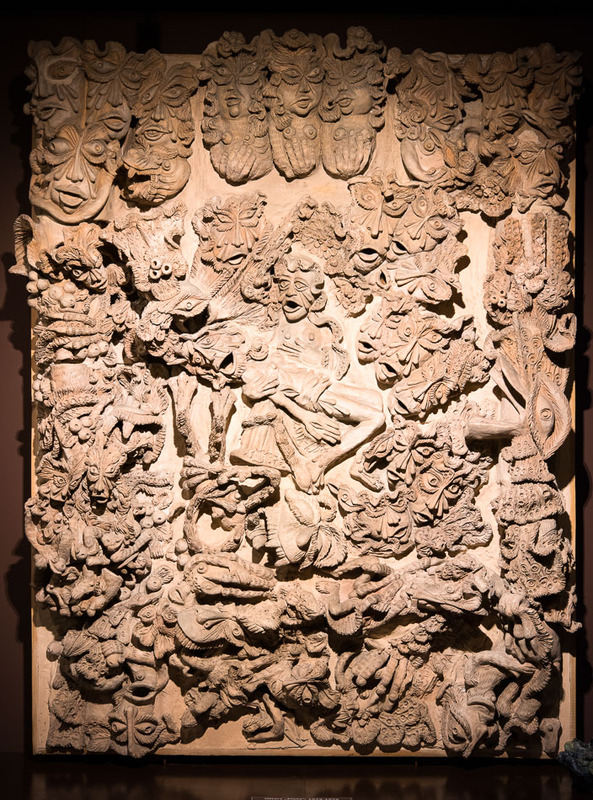 The large sculptures include vases covered with dense fantastic ornaments: writhing human figures, animals, birds, and natural ornaments. Another group of works are the small, multicolored glazed bird statues, mostly representing peacocks. Some of them are decorated with “bouquets” made of beads or plastic caps and wrappings strung on wire. 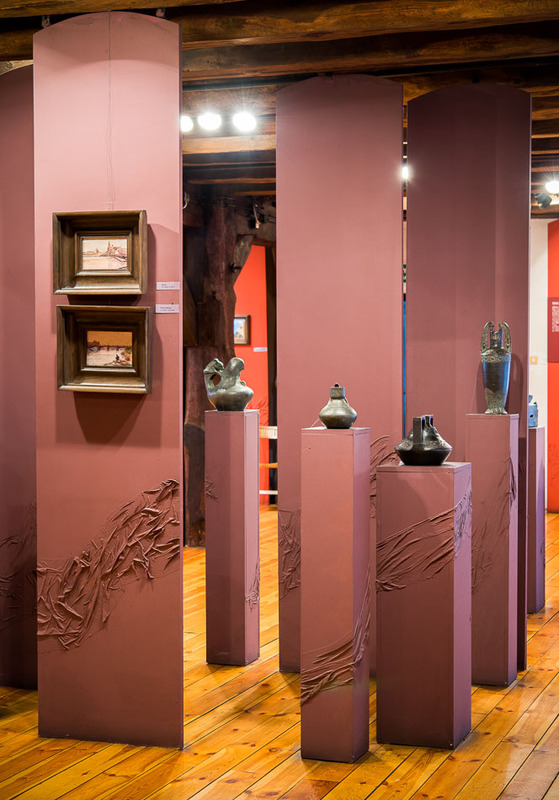 The exhibition presents the art of Waclaw Bebnowski and some objects associated with the artist. 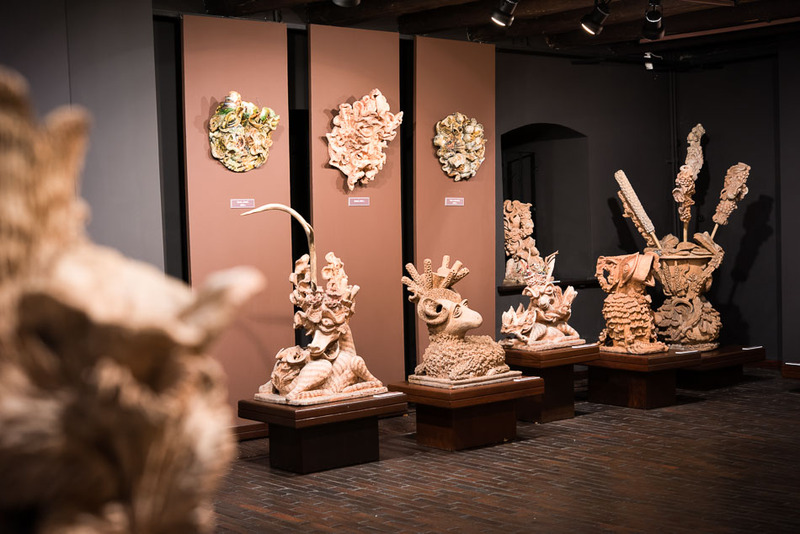 It includes the most interesting ceramic sculptures and functional objects from Poland`s largest collection, started at the Wloclawek Museum by the artist himself. 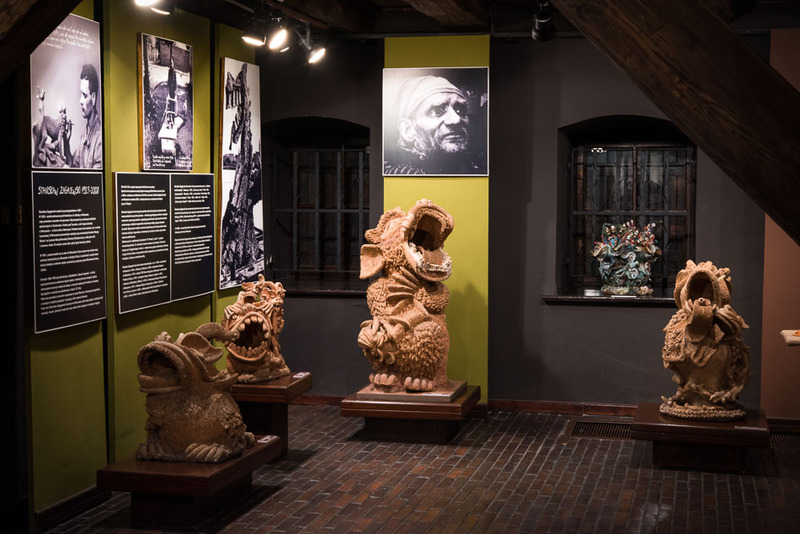 A resident of Aleksandrow Kujawski, Bebnowski donated the first two sculptures to the Museum in 1935. 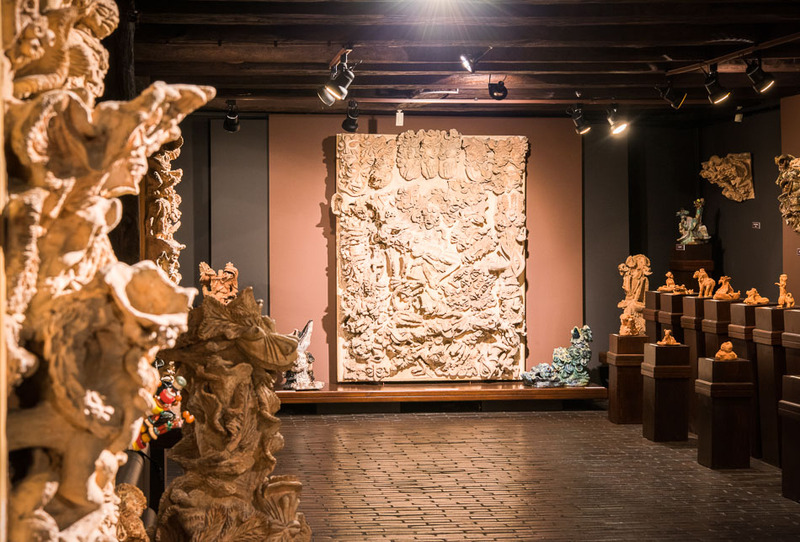 The Museum began to acquire other works for the collection, which today consists of over 130 items, in 1965, primarily through purchases from Wloclawek, Ciechocinek, and Torun residents. 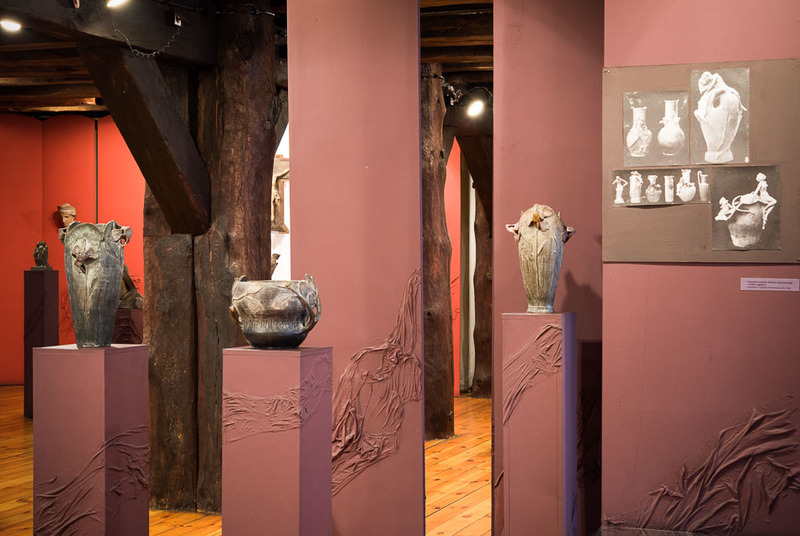 After the first monographic exhibition in the Wloclawek Museum in 1979, the collection was considerably expanded through a large purchase from the sculptor`s daughter, Maria Fiszer. The exhibition features figurative sculptures from 1913-1938: portraits, sacred sculptures, small animal statues. 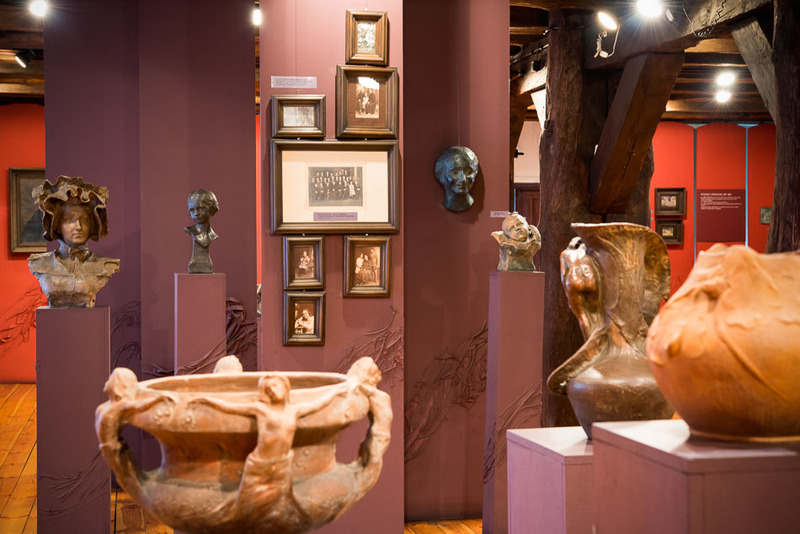 The majority of the works are applied art objects, such as vases, epergnes, or paper weights. In most of them Bebnowski`s uses his favorite art nouveau motifs, visible in the positions of naked nymphs, the long-haired female figures, and the ornaments inspired by the natural world or the art of the Far East. 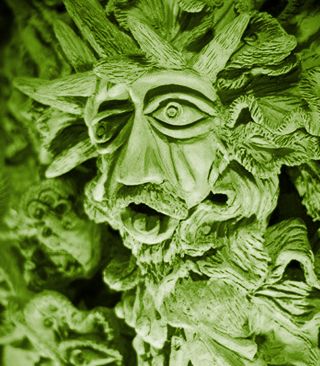 Each sculpture is covered in patina, usually imitating bronze casts. In addition to sculptures, the exhibition includes Bebnowski`s watercolor and oil landscapes, drawings, and sketches. Several portraits illustrate the sculptor`s biography: a Biedermeier portrait of Waclaw Bebnowski`s father painted by one Tolinski in 1830; an art nouveau portrait of Bebnowski`s wife, Anna of the Golecki family, painted by Ignacy Pienkowski; and an oil portrait of Waclaw Bebnowski by E. Cwirko-Godycka. Of the few memorial objects in the Museum, a few documents from Bebnowski`s college years and some family photographs are on display. Several boards present a chronology of major events in the artist`s life. Tuesday and Thursday:10 a.m. – 6 p.m.
Other days: 10 a.m. –3 p.m.